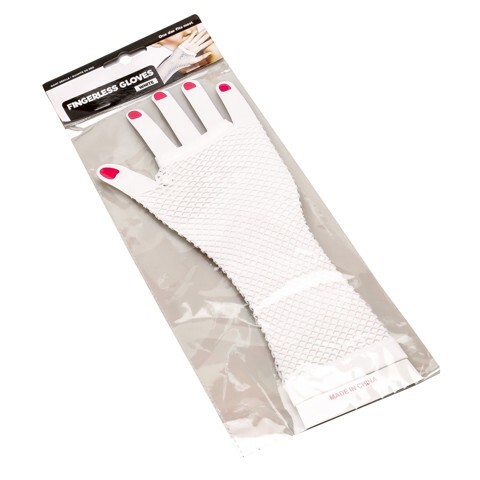 Dress Up Fishnet Gloves White. 25cm Length. White. Polyester. 28g Packaging: OPP Bag Header Card with Hand Insert Card.